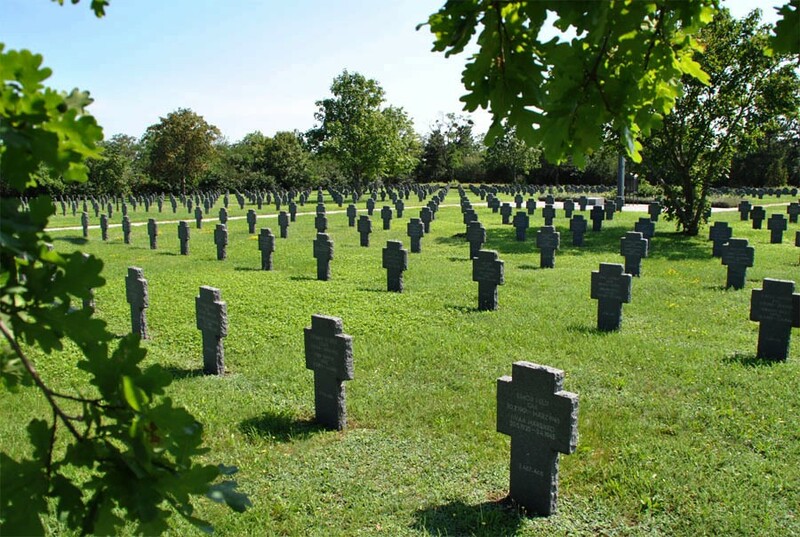 The Blumau German War Cemetery is located in the village of Blumau - just halfway between Vienna and Wiener Neustadt. The cemetery holds the graves of 4,001 German World War II soldiers. Many of these German soldiers were killed during the very last months of fighting in 1945 (the Russian "Vienna Offensive"). 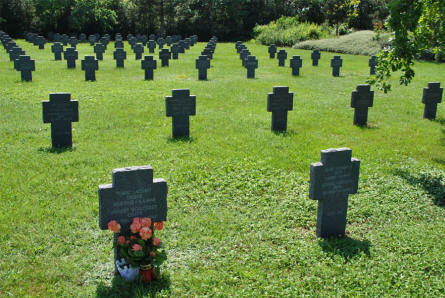 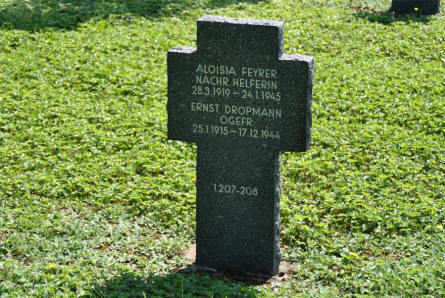 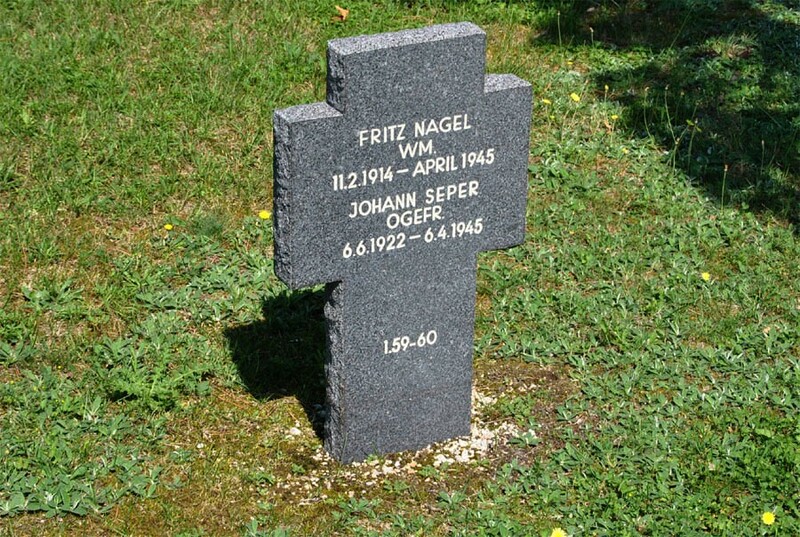 The cemetery also holds the graves of 435 German soldiers who died during World War I. 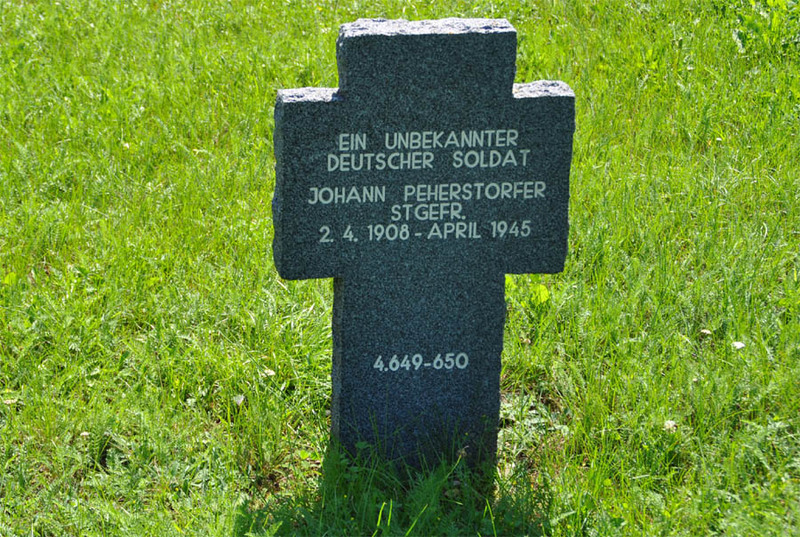 The World War II grave of an "Unknown German soldier" and one of the many German soldiers - who were killed during March, April and May 1945 - at the Blumau German War Cemetery. 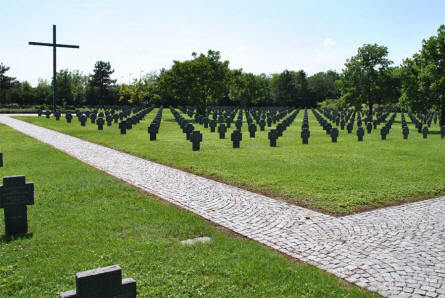 The Cross of Sacrifice and some of the many World War II and World War I graves at the Blumau German War Cemetery. The World War II graves of two German soldiers - who were killed during April 1945 - at the Blumau German War Cemetery. The specific date of death for one of these soldiers is unknown. Some of the many World War II and World War I graves at the Blumau German War Cemetery. The World War II graves of two German soldiers - who were killed in December 1944 and January 1945 - at the Blumau German War Cemetery.